Who: Electric utilities, renewable energy and energy efficiency companies, large electricity consumers, the natural gas industry, and states. What: Potential window of opportunity to engage with EPA, Congress, and other agencies on the design of a Federal Plan to implement the Clean Power Plan rule for existing power plants. When: Immediately, leading up to the release of a proposed Federal Plan in the summer of 2015. Why: The Federal Plan will set the compliance rules for power plants and others in states that submit inadequate implementation plans; it could also influence the state planning process itself. Although EPA has not yet finalized its proposed limits on carbon dioxide (CO2) emissions from existing power plants, the agency has now begun work on a proposed “Federal Plan” that would implement these limits in states that fail to submit adequate plans. EPA is expected to issue a proposed rule this summer, and to finalize that rule by the summer of 2016. Under section 111(d) of the Clean Air Act, EPA issues federal “emission guidelines” for stationary sources such as power plants, and these guidelines are implemented through “state plans.” In June 2014, EPA issued a proposed rule under section 111(d) to establish federal emission guidelines for CO2 emissions from existing power plants. EPA’s proposal, also called the “Clean Power Plan,” contemplates that states will require a variety of at-the-unit and beyond-the-unit measures—including increased natural gas use, renewable energy, and energy efficiency—to reduce CO2 emissions. For more information on EPA’s proposed rule, contact our Air or Climate Change practitioners or read this Alert. Under the EPA proposal, states have until June 2016 to prepare and submit implementation plans that ensure state power plant emissions meet the federal guidelines, or states can request an extension. States that fail to submit such plans, or that submit plans that EPA deems inadequate to achieve the guidelines, become subject to a “Federal Plan” that is prepared and imposed by EPA. EPA recently announced that it is developing a proposed Federal Plan, which will be released this summer. EPA will take public comment on this proposed Plan so that it will be in a position to issue a final Federal Plan for any state that does not submit its own plan. What form will the Federal Plan take? Will EPA issue a single “fill-in-the-blank” Federal Plan for all states that fail to submit their own plan, or design distinct state-specific plans for each non-compliant state? Will EPA look to other rules, such as the Cross-State Air Pollution Rule, as models for designing a section 111(d) Federal Plan? How will the Federal Plan affect state plans? Will the Federal Plan offer a presumably “safe” policy template that states may follow as they design their own plans? Will it presage the kinds of state plans the agency will be willing to approve in the future? Will the proposed Federal Plan be designed to be as restrictive as possible, so as to encourage states to submit more flexible plans – or will it be offered as a model that a state could adopt in lieu of its own plan or until it develops a plan at a later date? Will EPA allow a state that has a Federal Plan to replace it in whole or in part with a state plan at a later date? Who will be responsible for compliance under a Federal Plan? EPA has proposed to allow states to assign compliance responsibility to entities other than power plants, such as local distribution utilities, renewable energy and energy efficiency providers, and state agencies. Can and will EPA incorporate such flexibility into the Federal Plan or will it simply impose direct obligations on power plants? What compliance measures will the Federal Plan employ? Will the Federal Plan adopt a mass-based approach or a rate-based approach for measuring compliance with the federal guideline? Will the Federal Plan authorize emissions trading? What rules will govern trading or crediting? How will the federal plan address crediting and trading of renewable energy and energy efficiency? Electric sector equity and distributional effects: If EPA opts to use emission allowances as a compliance tool, will EPA auction (sell) emission allowances, or allocate them freely to power sector participants? What kind of flexibility, if any, will the Federal Plan offer to small utilities and independent power producers? How will the Federal Plan address “early action” to reduce emissions? Interstate Issues: Will the Federal Plan authorize interstate trading? Will the Federal Plan address potential leakage issues that could arise in regions with both mass-based and rate-based plans? Will the Federal Plan be able to integrate with other approved state plans or other states with a Federal Plan? How will the Federal Plan treat new facilities? EPA’s proposal would allow states to decide whether to include or exclude emissions from new natural gas-fired power plants in calculating compliance with the federal emissions targets. What approach will EPA take in a Federal Plan? These and other issues could significantly affect the compliance risks and opportunities for all stakeholders with an interest in the Obama Administration’s greenhouse gas rules for power plants. Because EPA is still developing its proposal for a Federal Plan, the next several months could be critical to states and to any organization with an interest in these or other issues related to implementation of the Clean Power Plan rule. 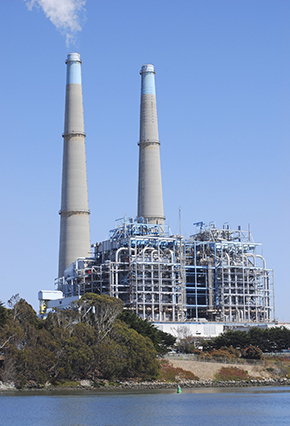 This alert is the first of a multi-part series that Van Ness Feldman will be preparing to keep our clients informed about implementation of and litigation over EPA’s greenhouse gas rules for electric power plants. Van Ness Feldman has assisted numerous clients to analyze and prepare comments on EPA’s Clean Power Plan proposal and related proposals for new and modified power plants, and our professionals are available to provide counsel to clients as they engage with EPA, FERC, the U.S. Congress, and state agencies to ensure that their interests are taken into account as the final rules are implemented. Van Ness Feldman also provides counsel to clients who are considering challenging aspects of EPA’s greenhouse gas rules in federal court. Please contact Kyle Danish, Stephen Fotis, or any other professional in Van Ness Feldman’s Environmental Practice for additional information.